Chronic Injury and illness present a complex interaction of physical, emotional, cognitive, social, and financial stressors. Working with a clinical counsellor will help you to untangle these processes and then begin to address them one by one. Dr. Hale has over a decade of experience helping individuals cope with and manage trauma and chronic illnesses. He works with individuals to first identify and understand the psychological and emotional aspects of injury, illness, and rehabilitation. Through counselling, you will also learn coping and rehabilitation skills designed to help you rehabilitate faster, live better, and to experience less physical and emotional distress. Therapeutic interventions typically revolve around Cognitive Behavioural Therapy techniques. 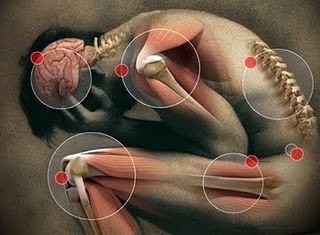 In some cases Dr. Hale also helps clients to explore, in-depth, the meaning of pain / illness in one’s life. For individuals who have been involved in workplace or traffic accident incidences resulting in permanent or chronic injury and or psychological distress such as depression, stress, anxiety, pain, etc. Dr. Hale will work to help you navigate the often overwhelming experiences of being involved in protracted insurance and legal claims.